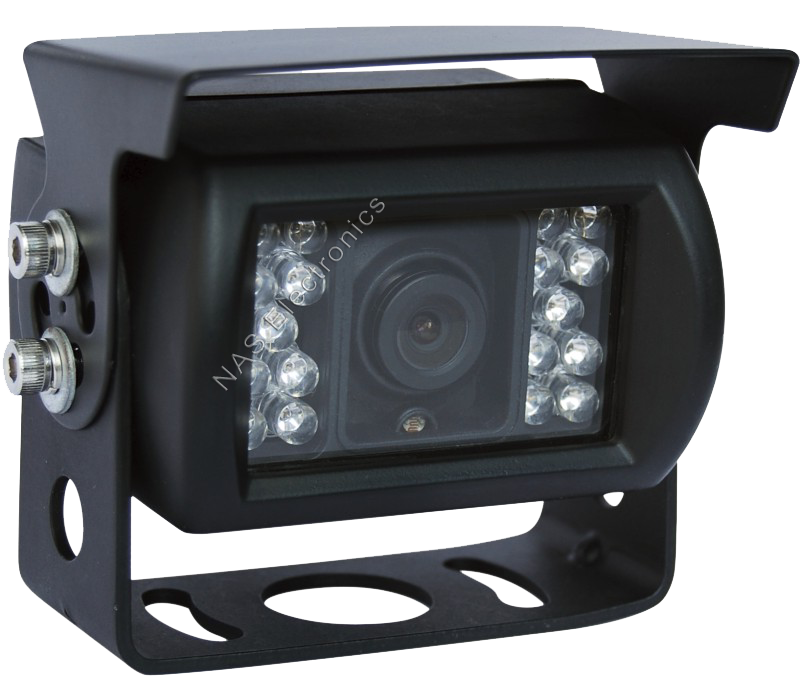 Reversing/Forward Camera with 18 pieces Ultra Bright IR LEDs to enhance night time picture quality. Suitable for Trucks, Farm Machinery, Motor Homes, Caravans, Horse Floats & Boats. The standard reversing camera has a 120° viewing angle. The 120° viewing angle will provide a view of both lanes on a highway, excellent when towing a caravan or trailer or driving a truck on the freeway when you want to change lanes. This angled camera is also popular on farming and mining machinery and is recommended for a ute with a closed in canopy when there is no vision out the back of the vehicle in the rear-vision mirror. The camera can be tilted down or up to focus on a particular area. The downfall of a 120° camera is when towing a trailer or caravan for example a truck or car behind you will look like it is much further away however it is right up behind you. If your intention is to install one of NAS's Cameras on another brand of reversing camera monitor or Navigation/Stereo System then you may require a RCA cable and cable. The RCA cables can be found on this page. www.nassecurity.com.au/reversing-cameras-en/rca-cables/. The Cables can be found on this page www.nassecurity.com.au/reversing-cameras-en/reversing-camera-cable/. All of NAS's Cameras have a female ended Connection. The length of cable attached to the camera is approx. 350mm. NAS Cameras have a Waterproof 4 pin female aviation connection.